Christmas has arrived early in the Hinterlands! Let's celebrate Christmas with an awesome event with your fellow Heirs! Are you ready for the Christmas Event?! 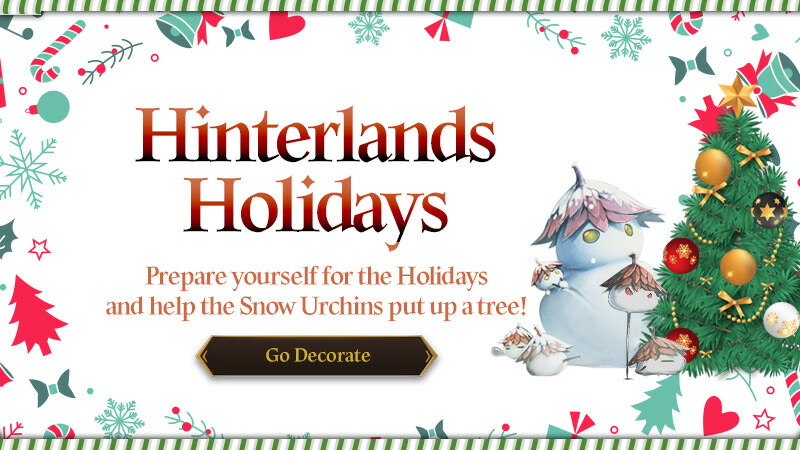 Trade Snowflakes for Christmas Ornaments and decorate the Christmas Tree for various rewards! Complete daily missions to obtain matches. * Complete each mission and "Claim" button will light up. * You can obtain up to 3 Snowflakes per day. - Each event reward may be claimed only once per account. > Tap the "Claim button to claim your rewards. Last edited by CM_Heylel; 12-10-2018 at 10:59 PM.